HONG KONG (CNNMoney) - One of the richest men in China has made a big bet on an icon of Europe's automotive industry. 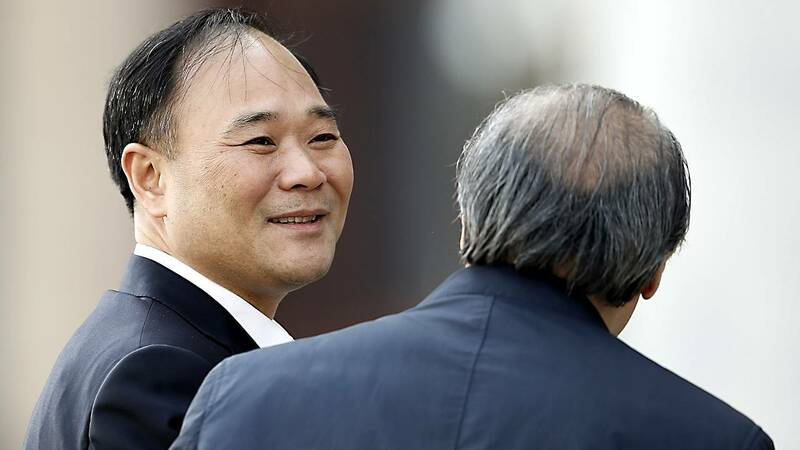 Li Shufu, the billionaire chairman of Chinese car maker Geely, invested about $9 billion buying a stake of almost 10% in Daimler, making him the biggest single shareholder in the owner of Mercedes Benz. Li, who's estimated to be worth around $18 billion, has said he's not interested in a takeover of Daimler. It's unclear exactly what he's after with such a big investment, but he dropped a big hint that the German company's engineering is central to his vision. "In order to succeed and seize the technology highland, one has to have friends, partners, and alliances and adapt a new way of thinking in terms of sharing and united strength," Li said in a statement over the weekend. Some analysts suggest Li wants to get his hands on Daimler's clean energy technology. That could help boost Geely's competitive position in China's market for electric vehicles, which is already the world's biggest. "Daimler has advanced technology that could be relevant to Geely, especially in the area of electric vehicles," said Bill Russo, founder and CEO of Shanghai-based investment advisory firm Automobility. Investors appeared optimistic that closer ties with Daimler could bring benefits to Geely. The Chinese company's shares gained 6.5% in Hong Kong on Monday. But Russo thinks Daimler may be willing to work with Geely on electric vehicle technology if it gives it greater access to China's huge market. That could be complicated, though, by Daimler's existing relationships with companies in China. Foreign companies have to set up joint ventures with Chinese firms to do business in the country. Daimler already has several, including one with state-run BAIC Motor and another with BYD, an electric vehicle and battery maker whose backers include Warren Buffett. BAIC said Friday that it and Daimler plan to invest almost $2 billion to build a new factory that will manufacture electric vehicles. Daimler said after the Geely investment that BAIC remains "a strong partner" in China. "Daimler knows and appreciates Li Shufu as an especially knowledgeable Chinese entrepreneur with clear vision for the future, with whom one can constructively discuss the change in the industry," it said in a statement. In 2010, it bought Volvo Cars from Ford for about $1.8 billion in a move marking its arrival on the international stage. Last year, it took control of Lotus, an iconic British sports car maker.